Famed comedian Steve Harvey took his talk show on the road to Orlando, Florida recently to tape a full week of new episodes airing Nov. 17 – 21. This marked the first time in the history of the “Steve Harvey” daytime talk show that the Emmy award-winning show was taped outside of the Chicago area where the program is based. The episodes were filmed at the Universal Orlando Resort at its CityWalk Lagoon Stage, Nov. 4, 5 and 6. And some lucky South Florida residents who won tickets to the show’s taping and a meet and greet with Steve Harvey from a local radio affiliate of the talk show were able to attend. Harvey, who recently released his self-help book, Act Like a Success, Think Like a Success: Discovering Your Gift and the Way to Life’s Riches, included fan favorites such as the Ask Steve segment of the talk show during the Orlando taping. The talk show host also personally invited recent guests of the show such as a young girl who helped deliver her sister’s baby and a couple that could not afford a proper honeymoon to attend the tapings of the new episodes at Universal Orlando Resort as VIPs. 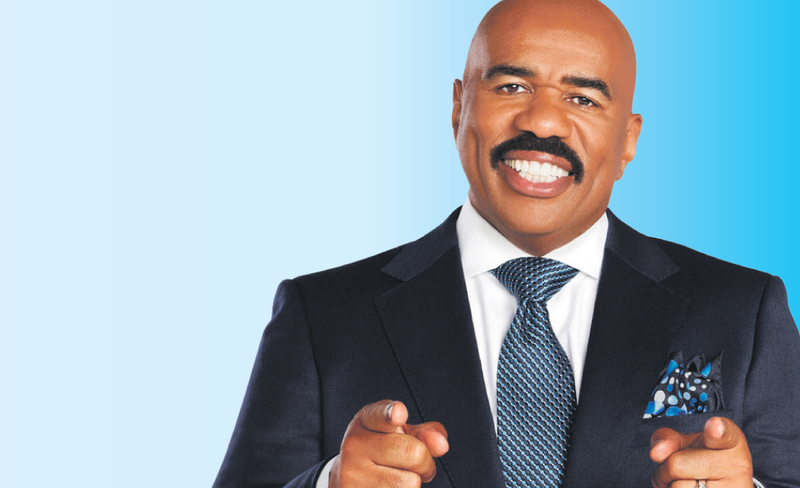 In addition, The Steve Harvey Morning Show, radio program, is consistently in the top three of the ratings for the station and was a great tie-in to get X102.3 listeners to Orlando for the taping of Harvey’s talk show, Wright said. The episodes shot in Florida at the Universal Orlando Resort included specialty segments such as a Family Feud game with famous families competing against each other, America’s Hottest Bachelors: The Men of Florida,” and the show’s biggest Family Bucket List featuring a family of 12 from Utah. The Steve Harvey talk show is in its third season and has garnered Harvey a 2014 daytime Emmy award for best talk show host. Harvey also hosts the popular game show Family Feud, in which he also won an Emmy earlier this year. In addition, Harvey has recently released a new book, Act Like a Success, Think Like a Success, in which the bestselling author, comedian, television, radio and game show host talks about being homeless and the lessons that he has learned from his many struggles on the road to success in an effort to help others achieve success. Harvey is also the author of bestselling book, Act Like a Lady, Think Like a Man, which inspired the hit movies Think Like a Man (2012), and Think Like a Man Too (2014).